Here's a few beers that we don't get in Ireland unless someone brings them over from the US. 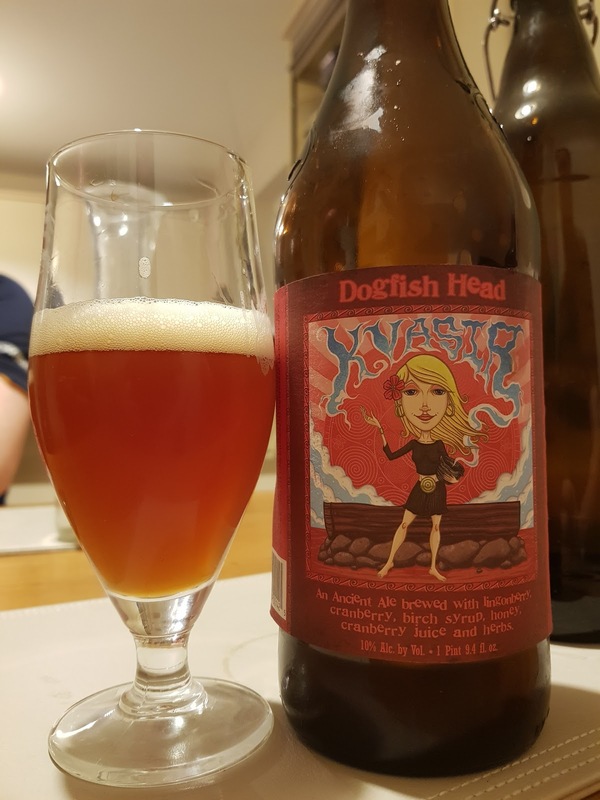 I haven't had a Dogfish Head in quite a while and I had never heard of this one. The Beer Nut brought it to a tasting where I supplied a load of New Zealand beer and he brought this bottle of Kvasir. That tasting will air on the Irish Craft Beer Show's YouTube channel. I believe it will be Episode 30 when published. Kvasir is apparently brewed with lingonberries, cranberries, myrica gale, yarrow, honey and birch syrup. I found it very tart but it had this sort of cola thing going on too which I thought was interesting. It's also rather salty. It was one of the more interesting beers of the day but not the most drinkable. 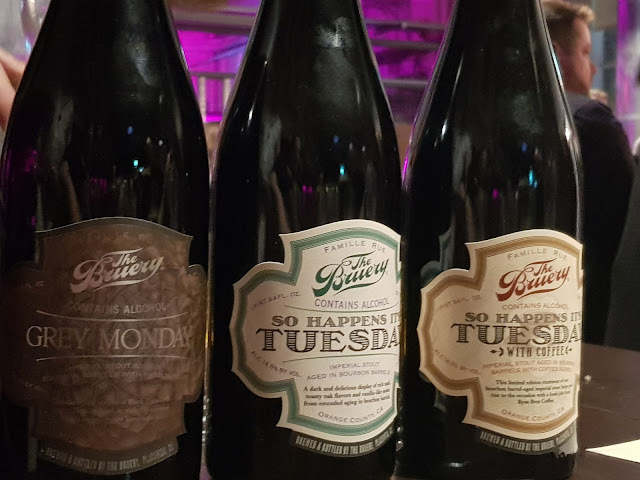 The Bruery is actually one I hadn't heard of. I don't pay much attention to the American homebrew scene but apparently a bunch of homebrewers got together in California and set up a brewery that specialises in barrel ageing. I've never come across their beers, even when I was in California or other parts of the US. While I did get through all of the beers pictured above, I didn't bother taking notes and I recall very little about them to be honest. It was international stout day and I'd had more than enough imperial stouts to give up on note taking. 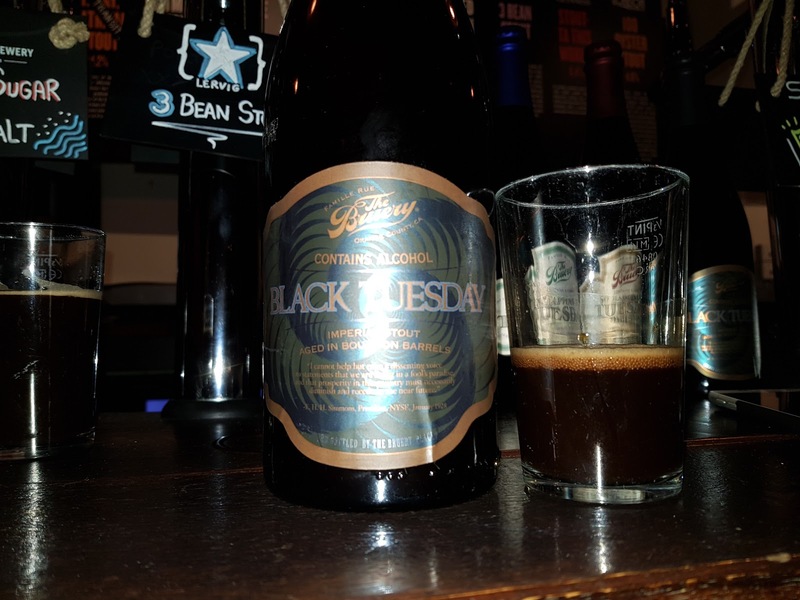 Black Tuesday is perhaps the most famous of their range. It's released on the final Tuesday of October every year. ABV tends to differ with each batch as you might expect from a seasonal barrel aged beer. This one was a little over 20% and was pretty incredible as you might expect. It might be the most luscious imperial stout I've ever head. The amount of complexity here was pretty astounding. This is an occasional beer, to be shared with friends. Heaps of woody vanilla, dark fruits and cherries. The bourbon isn't overpowering but is there. It would be a great beer to crack open on Christmas day. Exactly What is an IPA?